Main Plot: Xehanort has done it again (that rascal! 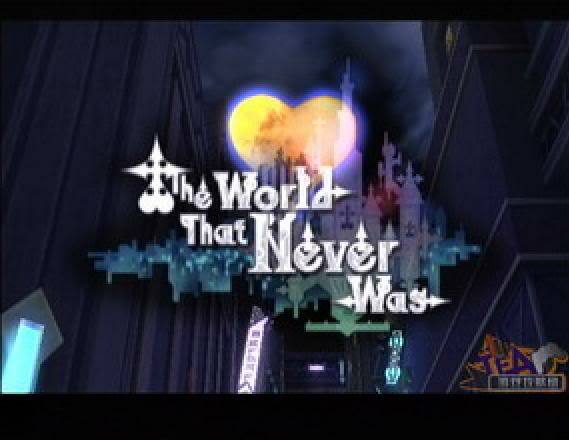 ), the KH worlds have fallen into darkness and other anime worlds are now affected. A certain group of nobodies is forced to other anime worlds in order to take over those worlds and/or create more nobodies. The only rules: Choose one KH as your main and one other anime character, the anime character doesn't have to stay in the plot, they can show up and leave or rescue people,etc. Please post the role you want, where they are from and when we get to it, you can describe said world. Try to be in-character but OoC is probably entertaining as well. lol. One thing before we start. Before we go there, so that we can keep track. Xemnas smirked, lacing his fingers together as he sat in his office, "Soon all the worlds will lose their hearts and everything will become nothing." He chuckled to himself, "Now to select a member to accompany me on this mission.." He searched through the mission files, "....All that is left is Number IX." He sighed, running a hand through his hair, his voice became stern, "Number IX! Report to my office!" Sora was sitting in the Gummi Ship, driving Kingdom Hearts knew where. Really, he was wandering. The letter from the king had told him that he had to go back out on an adventure, but Riku had insisted Kairi stay on the island out of trouble, and then he'd broken his leg--or just sprained it really badly, Sora didn't really remember which it was--and was completely useless anyway. That left him on his own, driving the Gummi Ship and being really bored. What was this threat Mickey had referred to, anyway? It had said something about the Nobodies not really having been destroyed and that they were just biding their time. Sora was to find out what they were up to and put a stop to it, whatever "it" was. So, until he figured out where to go, he would just be waiting for some sign. Demyx was surprised to hear the Superior call for him again since he'd just completed a mission 2 days ago. He was in the middle of playing with his water and didn't want to stop but he also didn't want to make his leader upset. 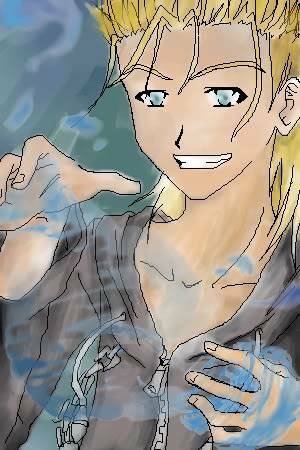 So he portaled into Xemnas’ office in a flourish of water droplets and greeted the tanned man upon his arrival. “Hiya Superior~! What’s wrong?” He asked smile on his young face. Xemnas chuckled darkly, "We are going on a dangerous mission Demyx, we must plunge the other worlds into darkness and create more members, the keyblader is getting stronger and we need MORE HEARTS!" He slammed his fists aggressively against his cherry-wood desk, growling and gritting his teeth." He motioned to Demyx to follow him to the Grey Room and created a portal, "I have seen the swordsmen in this world Demyx, they are smart and crafty, be on your guard." Things were going quite well in the cockpit when things started bleeping. Sora smacked a few buttons, and then found that a planet was coming close. Well, this was as good a place as any to start looking for things. Sora was somewhere, suddenly, as he left his ship. Somewhere new. He'd never been to this world before. He looked around and saw a swordsman. "Um, excuse me," he called. "Where am I? I'm a little lost." Well, that wasn't blunt. He hoped it was easy to get lost in this world. "O-Okay, but where will you be? Are you not coming with me, Superior? He asked feeling very unconfident what with his leader putting him on the spot so suddenly. "Are you sure I'm the right for this. Wouldn't uh...Xiggy be better for this kinda mission I mean...he's got gravity, that's pretty scary. They probably won't even take me seriously." Demyx pouted and looked to the older male in front of him. He really didn't want to go on aother mission this soon, and from the way his Superior was making it sound it'd be sorta difficult. 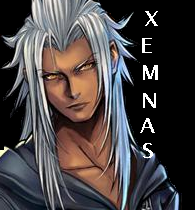 Xemnas sighed, looking at Demyx, "Am I not good enough of a companion Demyx? I am sure that the both of us together can handle anything that comes our way." He shoved Demyx through the portal to the 'Fire Emblem World'. He looked around, "Try to pay attention Demyx." He walked up to a merchant, pulling up his hood and asking for directions. "You are in the province of Pherae," He said extending a hand, "Are you a traveler? My father is the marquis of this area." He said basily refering that he was nobility, a lordling. It was times like there that either paying attention in school or having Donald and Goofy around would have been for the best. "I'm traveling around, and what's a marquis? Does that make you important?" He didn't sound rude. Just a little stupid. "A marquis is the head noble of the province, who basily controls the province," He said, "I'm the son of the marquis Pherae." Well, this was a stroke of luck. "Hey, I travel around looking for... weird things. Monsters that don't belong, weird people, anything out of the ordinary. Like guys in black coats that kinda appear and disappear. Seen anything like that?" Okay, that was hardly subtle, but hopefully he could find something that would help him. hmmm.....I'm going to have to go with Tactics <3 KANTAROU!!! “No, that’s not it at all Superior, it’s just that, I thought I’d have to go alone.” He said, sweat dropping anxiously as he was pushed through to the strange world of swordsmen. The blond wondered to himself if there were dragons in this world or maybe damsels in distress, in tall towers and princes that would come to save them. Demyx looked around in awe as if expecting them to suddenly appear before his eyes, which were scurrying about the place frantically. The younger nobody listened, just barely, to his Superior’s questions about where they were and how to get somewhere else. When his eyes landed on the darker man again he noticed his hoodie was off and he looked slightly annoyed, which led to the man pulling his hoodie’s strings so that only his blue eyes were visible. "Not particularly, merely a increase in bandits whom are plotting to give me an early grave," He said, he looked up at the the sun, determining the time, "Excuse me, but I must continue on with my expedition, otherwise I'll keep my mother waiting later on, good day." Xemnas rolled his eyes lightly at Demyx, he nodded to the merchant in thanks and pointed to a large building at the head of the town, "We will find some worthy beings to turn into nobodies there Demyx, and Kingdom Hearts will be one step closer to becoming complete!" He chuckled, "Maybe I should invite Saix along with us, to help us get things done faster." Or so he thought. Just behind Eliwood's horse appeared a Fat Bandit, a very fat kind of Heartless, and a couple smaller Bandits, making Eliwood's horse rear. "Look out!" Sora cried, drawing his Keyblade and rushing at the huge Heartless and his fellows. Kairi was packing her bags on the island. Forget Riku. She was going to go find Sora and help him. He was completely useless without herself or Riku there to tell him what to do. How he managed to survive this long was beyond her. Her bags packed, she started plotting a way to get off the island and catch up to Sora. There was always trusting her heart to find him; they were connected, after all. But how could she get to wherever he was without a ship? This she had to think about for a moment before something at last came to her. She ran to their Secret Place, the first thing that had come to her mind, and stood before the door in the wall to nowhere. She closed her eyes and folded her hands before her, like she was praying. And she was, in a way. "Take me to Sora. Please." She felt a warmth from her heart, and heard something like a door opening. When she opened her eyes, the door was still shut, but there was a large keyhole in it. She reached out to it, tentatively, slowly, and then suddenly, she and the keyhole were gone. The next thing she knew, she was thrown into another world. She wasn't quite sure where she was, but somehow she knew Sora was here. Kairi drew her Keyblade just to be safe, and was off to go find him. "Whoa, this is a little close for comfort," He said out loud, ducking as his another swung a blade at him. His body guard, Marcus, attacked the one that had almost sliced him, "Thanks." He said, avoiding another attack. "Stand back!" Sora shouted, swinging his Keyblade and smashing a Heartless in the face. "Blizzard!" He blasted the Fat Bandit with an ice spell, knocking it back and stunning it briefly. That gave him enough time to circle around and destroy it before challenging the small fry Bandit Heartless. He knocked another of the Bandits back before saying, "These were the guys I was talking about. Get out of here. I can handle them." Kairi stumbled upon a city. Well, this seems as good a place as any to look for Sora. She hefted her bag onto her back again and went into the city. "Being the marquis' son and soon the heir of his position, I will not run from a fight, endangering someone. It's my duty as a Lord to protect anyone in Pherae from dangerous outsiders, allow me to assist you." He said, pulling out his rapier, which possessed a mystical power, rather then his normal blade. Sora nodded and continued to smack the Heartless around with his Keyblade. "Just be careful. These guys are tougher than they look." More appeared. "It can't be endless," he muttered. Even in his battle with a thousand Heartless, there had been an end. These guys had to give up at some point. Eliwood began to attack the enemy force, being careful not to get any wounds that were too deep or severe. Once he attacked a large amount, he held his blade much more loosely, taking in deep breaths, I didn't expect such numbers...especially at a time like this. Eliwood had been injured during another battle earlier that day by a different group of bandits, therefore he didn't have enough stamina as usual. Sora raised his keyblade once more and swung at one of the bandits, destroying yet another Fat Bandit and Large Body--another gigantic, overweight heartless. "They can't be--" and then just like that, all the Heartless were gone. Sora's Keyblade disappeared in a small flash of light. "Okay...?" Kairi walked through a town of some sort, perhaps even a city. It reminded her of her home a little bit, but there were differences as well. I'm not going to find Sora like this, she thought, so she walked over to a shop keeper. "Excuse me, you wouldn't happen to have seen a boy with spiky brown hair and odd clothing, would you?" The shopkeeper frowned and shook his head. "Perhaps if you asked the Marquis's son, when he returns, he'll be able to tell you. He travels quite a bit, you see, and if anyone's seen your friend, he has." 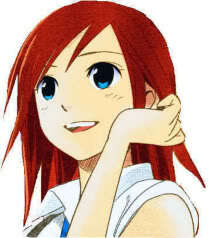 Kairi thanked him and continued on her search. So now she was looking for a Marquis's son. That meant someone rich and probably riding a horse. Okay. That she could find. "I highly apperciate your assistance," He said noblily, "perhaps there is something in return I can do for you to repay my debt? Perhaps food, weaponary, or a night at my father's estate?" He asked. 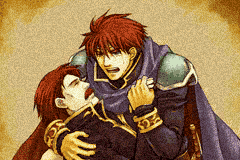 He was the only marquis' son, but many people respected Eliwood for his kindness, and would soon accept him as marquis when his father was finished with his rule.